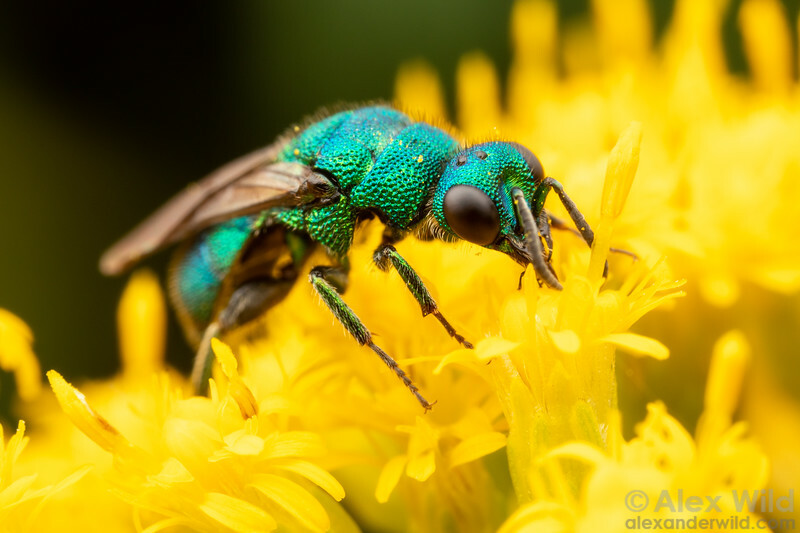 A cuckoo wasp drinks nectar from an early-flowering goldenrod. This species is a parasite of philanthine wasps. South Bristol, New York, USA.